It’s been a great week learning about countries around the world with more countries to come next week. With the Winter Olympics going on in Vancouver, this is a great time to teach your children about countries around the world. And if you’re not already glued to the TV watching every Winter Olympic event, then here are ideas to get the Olympic excitement going in your household. It begins with each child picking a country they want to cheer and support, and parents can be included too. Keep the Olympics on the TV screen so the children can cheer on their country in the various events. Wave a flag. Olympians love to wave their country flag. 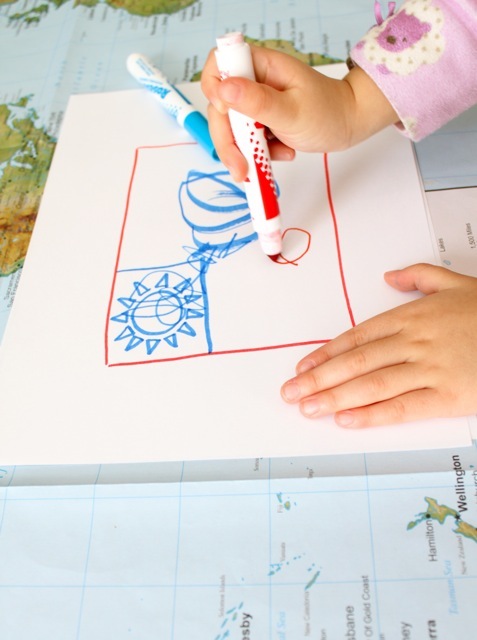 Have the kids draw their country’s flag they are supporting. Medal count. Keep track of each country’s winnings in a chart using stickers. Better yet, make your own gold, silver and bronze medal ribbons for the kids to wear. Visit the official Vancouver Olympics website for a list of each country’s winnings. Dot it on the map. Find their country on a world map. Better yet, take a trip there on Google Earth. Dance off. Play music from each country and have your own dance Olympic event. Say what? Using online language translators and find how to say or write funny phrases in their country’s language.